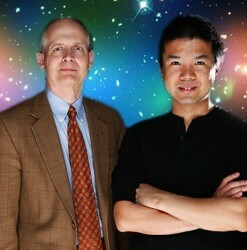 “There are a great many different theories about the nature of dark matter. What I like about this theory is its simplicity, uniqueness and the fact that it can be tested,” said Scherrer. 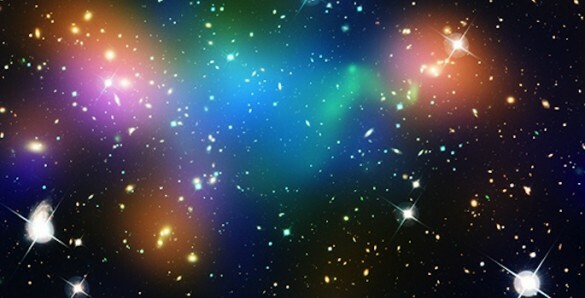 In the article, titled “Anapole Dark Matter,” the physicists propose that dark matter, an invisible form of matter that makes up 85 percent of the all the matter in the universe, may be made out of a type of basic particle called the Majorana fermion. The particle’s existence was predicted in the 1930’s but has stubbornly resisted detection. Fermions are particles like the electron and quark, which are the building blocks of matter. Their existence was predicted by Paul Dirac in 1928. Ten years later, shortly before he disappeared mysteriously at sea, Italian physicist Ettore Majorana produced a variation of Dirac’s formulation that predicts the existence of an electrically neutral fermion. Since then, physicists have been searching for Majorana fermions. The primary candidate has been the neutrino, but scientists have been unable to determine the basic nature of this elusive particle. The existence of dark matter was also first proposed in the 1930’s to explain discrepancies in the rotational rate of galactic clusters. Subsequently, astronomers have discovered that the rate that stars rotate around individual galaxies is similarly out of sync. Detailed observations have shown that stars far from the center of galaxies are moving at much higher velocities than can be explained by the amount of visible matter that the galaxies contain. Assuming that they contain a large amount of invisible “dark” matter is the most straightforward way to explain these discrepancies. More recently, though, several physicists have examined dark matter particles that don’t carry electrical charges, but have electric or magnetic dipoles. The only problem is that even these more complicated models are ruled out for Majorana particles. That is one of the reasons that Ho and Scherrer took a closer look at dark matter with an anapole magnetic moment. “Although Majorana fermions are electrically neutral, fundamental symmetries of nature forbid them from acquiring any electromagnetic properties except the anapole,” Ho said. The existence of a magnetic anapole was predicted by the Soviet physicist Yakov Zel’dovich in 1958. Since then it has been observed in the magnetic structure of the nuclei of cesium-133 and ytterbium-174 atoms. 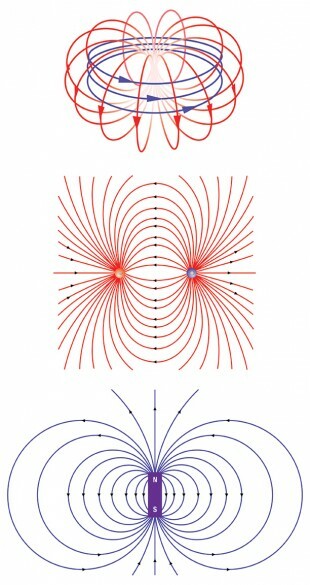 Particles with familiar electrical and magnetic dipoles, interact with electromagnetic fields even when they are stationary. Particles with anapole fields don’t. They must be moving before they interact and the faster they move the stronger the interaction. As a result, anapole particles would have been have been much more interactive during the early days of the universe and would have become less and less interactive as the universe expanded and cooled. The research was funded in part by Department of Energy grant DE-FG05-85ER40226.